Sometimes you have to fail spectacularly in order to succeed spectacularly. First let me ask you, have you failed? If your answer is yes, then why did you fail? Did you bite off more than you could chew, overestimate yourself, or did a personal fault shine through in the exact moment you needed to be at your best? Being able to identify a moment where you completely bombed and then being able to identify why you bombed is a huge pillar of maturity. 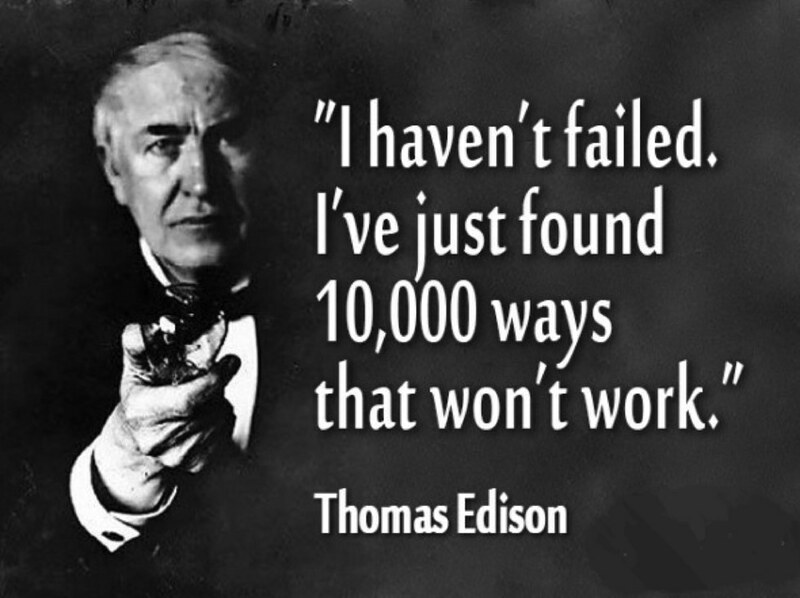 If you know why you failed, you have the ability to address that problem, improve, and then try again. My second question for you would be: did you feel that you had done all that you could to succeed? Sometimes, our biggest fails have nothing to do with us. Sometimes you fail regardless of how hard you tried or how much you wanted to succeed, and you have to be OK with that. Sure, knowing that you did your best is a sad consolation prize in comparison to what you could’ve had if things had worked out, but that’s life. Be proud that you were willing to go for it; most people can’t say that they would’ve had the guts to even try. My question for those who can’t remember a time that they’ve failed: why are you okay with living a mediocre life? Now before you send me hate mail consider this: how do you know the limits of your abilities if you never challenge yourself and test those limits? Challenging yourself means pushing yourself to the point where you fail because otherwise there's still the potential that you could be capable of more. No weightlifter would ever stick to 20 pounds just because they know for a fact that they could bench it. They would increase the weight until they were at the brink of not being able to lift it, and then work to push beyond that limit. Living a mediocre life just means that you are willing to settle for less than your best or pursuing less than your greatest ambitions. It has nothing to do with comparing yourself to others because for some people benching 20 pounds may be a feat in every sense of the word. Reminder: just because you fail doesn't mean that you're a failure, and just because you may never fail, doesn’t mean that you’re a success. This is what it can look like to live a mediocre, "fail-free," life: You only take classes in school that you consider to be easy A’s. You only ask out people that you know for a fact are into you and that you think aren't "out of your league." You apply for jobs that you are over-qualified for and never ask for a pay raise or promotion; instead, you wait and hope that your supervisor recognizes your worth. You let your fear of looking foolish and making mistakes, keep you from trying something new that you've always wanted to learn how to do. Sure, you might have gotten a 4.0, but how much did you really learn by only taking classes that were easy for you? You may have married that girl or boy who originally said yes to being your boyfriend or girlfriend, but are you truly head-over-heels in love with them, or do you still regret never pursuing the person that you actually thought the world of for fear of rejection? You got the job with ease, but does working there begin to take a toll on your spirit, day-by-day, menial-task-by-menial-task? You never embarrassed yourself by going back to school or learning how to ice skate or whatever it was that you wanted to try, but at night do you still dream about ice skating and at work do you still think about how different your life would've been if you had gone after that degree? You live an attainable life, but did you actually attain a life that you want to live? 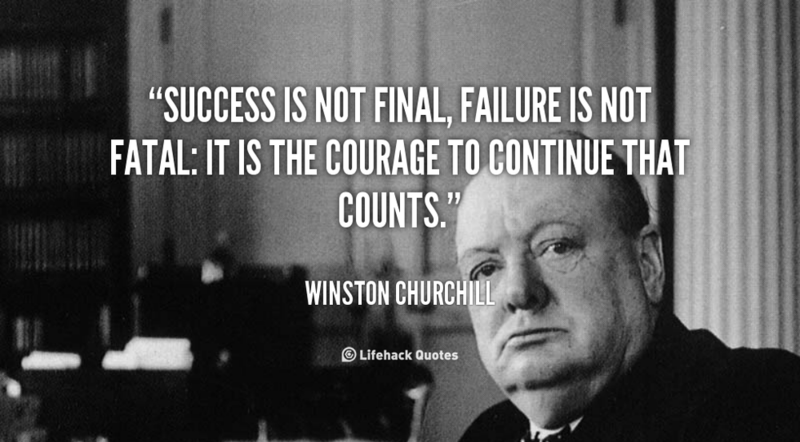 Is your only consolation that you are, by your definition of the word, a success? Does that “success” sustain your soul? Let me clear: the only person who can question how hard you are trying or if you are a living a fulfilling life is you. And if you can proudly say that you live a successful life, then you do, and no one else's opinions matter. But if you’re not sure, try listing your most recent epic fails, and either a) learn from your failure and vow to do better b) accept that you did your best and move forward c) try it again. The first two are pretty common sensical, but you may ask, why would I try to do something I've already failed at once and will probably fail at again? Because the hell with it, that’s why. I once tried to do a front flip off the diving board at a local country club. I was afraid of looking dumb, but I did it anyway, and I completely belly flopped. The logical follow-up would be to keep my head down and pray that my friends didn't make fun of me for too long. But no. The hell with that. I tried it again. And again, I belly flopped. At that point, the entire pool was watching, and I thought I heard the cute lifeguard short because he was laughing so hard. And you know what? I TRIED IT AGAIN. And I finally did a perfect front flip into the pool! Just kidding. I belly flopped, but I was laughing so hard that I didn’t even care. And not caring about others think and having the guts to just go for it are skills anyone can learn if you’re willing to just embrace the fail, so keeping trying. It gets easier if you're willing to keep your head up and have a sense of humor about it. Failing once can make it easier to actually go for it again. After the first two belly flops, what did I care if I flopped one more time? This lesson can be applied to just about anything; it can keep you from withdrawing from a class after bombing a test, suggesting an idea at work even though your last idea was shot down, or asking someone out even though you got rejected last time you asked a person on a date. The quote, "Don't let the fear of striking out keep you from playing the game," almost sums this all up, but I would add, that after striking out once, you realize that it's not the end of the world, and it's no longer a fear that will deter you from playing the game you love. So reach further, try harder, fail harder, and repeat. You’ll reap the rewards of challenging yourself because as soon as you are willing to accept that you could spectacularly fail, then you are also opening yourself up to the possibility of spectacularly succeeding. And if you don’t succeed? Well, at least you won’t live a boring life filled with regret. You’ll grow as a person by addressing your faults and discover new personal limits beyond what you could have ever imagined. Fear of public embarrassment or rejection will never deter you from pursuing what you want, and you’ll be well on your way to attaining the life you want to live, rather than living an attainable life. If that isn’t success, then I don’t know what is. Want to know more about pushing yourself past your fear of failure? 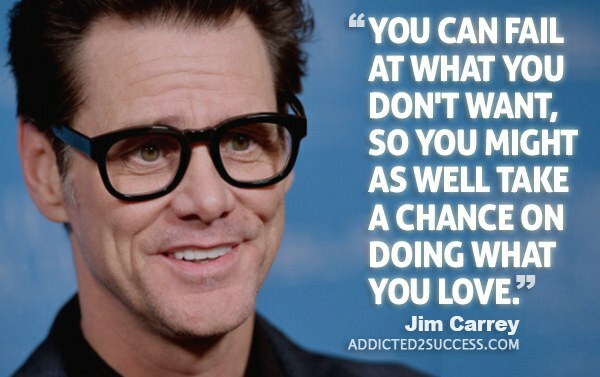 Watch Jim Carey's Commencement Speech to Maharishi University of Management graduating class of 2014. You will most likely cry because I sure did.